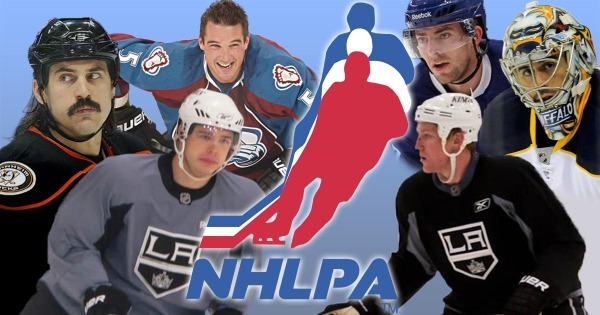 On Friday, November 9th members of the NHLPA will participate in a charity game at the Kings training facility in El Segundo. 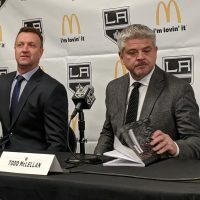 Many members of the LA Kings 2012 Stanley Cup Championship team will participate – including Jeff Carter, Kyle Clifford, Colin Fraser, Matt Greene, Trevor Lewis, Brad Richardson, Rob Scuderi and Jarret Stoll. Plus, Ryan Miller of the Buffalo Sabres, Shane O’Brien of the Colorado Avalanche, George Parros of the Florida Panthers and Sheldon Souray of the Anaheim Ducks are scheduled to be among the skaters. If that’s not enough, more players should be announced in the days ahead. Remember, you can coach one of the teams for as little as $100 – BID HERE. All gate proceeds will be split between the Twin Peaks Cancer Foundation (breast cancer) and the LA Jr. Kings PW AAA 2000. Additionally, fans will have the opportunity to bid on the signed game-worn jerseys from each player, pucks, sticks and more. 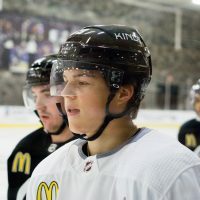 Before the event even begins, fans can also bid on several unique experiences – such as ‘Coach a Period,’ where your donation actually allows you to be on the bench during one period of the game. There’s also the chance to be the National Anthem singer and to drop the first puck of the game. If you’ve been to TSC, you know it’s a small facility. Only 500 tickets (general admission) will be sold in the lower arena section, with additional tickets also available for the observation deck upstairs. The game is set to start at 7:00 pm. Gates will open at 6:00 pm and on-ice warm-ups will take place at 6:30 pm. For more information on the event click here …or to buy tickets now click here. 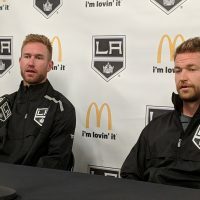 Jim Fox on who’s a better captain – Dustin Brown or Wayne Gretzky? The ticket link is 404. I want tickets!!! Keep trying. I just confirmed, there are still tickets available. Their ticket site is just under heavy load right now with everybody trying to get on and secure tickets. Charity would be the best guess. I’m a part of this event. We still have tickets but they are going fast. We had some issues with the URL’s and traffic. It should be fixed now. 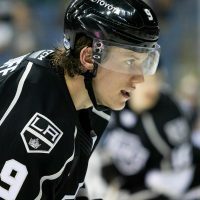 Please go to http://www.jrkings2k.com for tickets to the charity game. I got my tickets today. Excited!